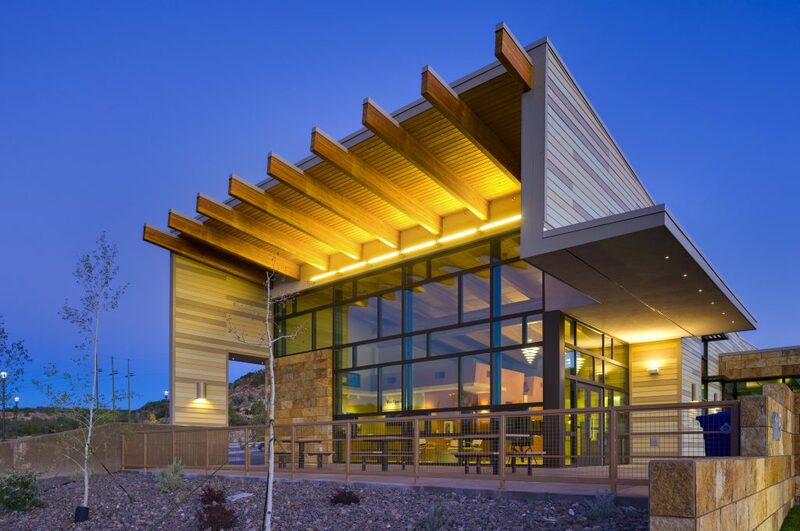 The White Rock Visitor Center is the informative starting point to all that Los Alamos County and the surrounding region offers. 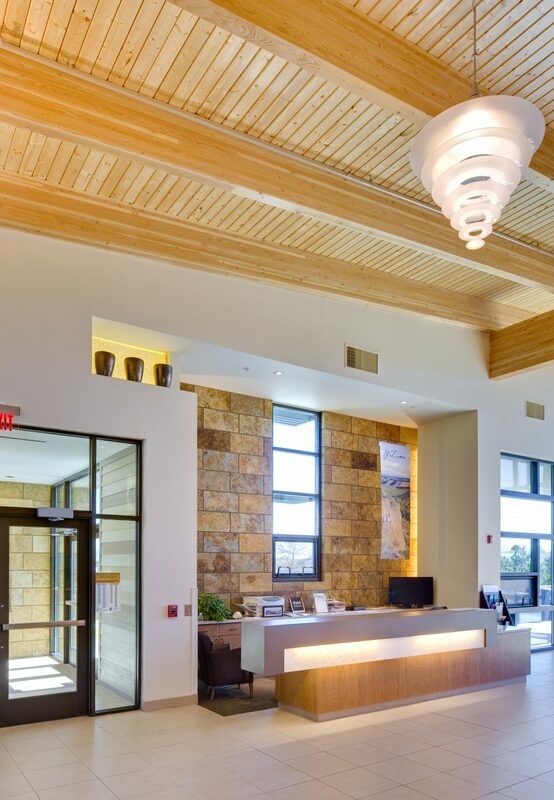 The center’s design pays homage to ancient and indigenous cultures set amid spectacular New Mexico scenery between Valles Caldera National Preserve and Bandelier National Monument. Stone walls anchor the building to the mesa behind it. 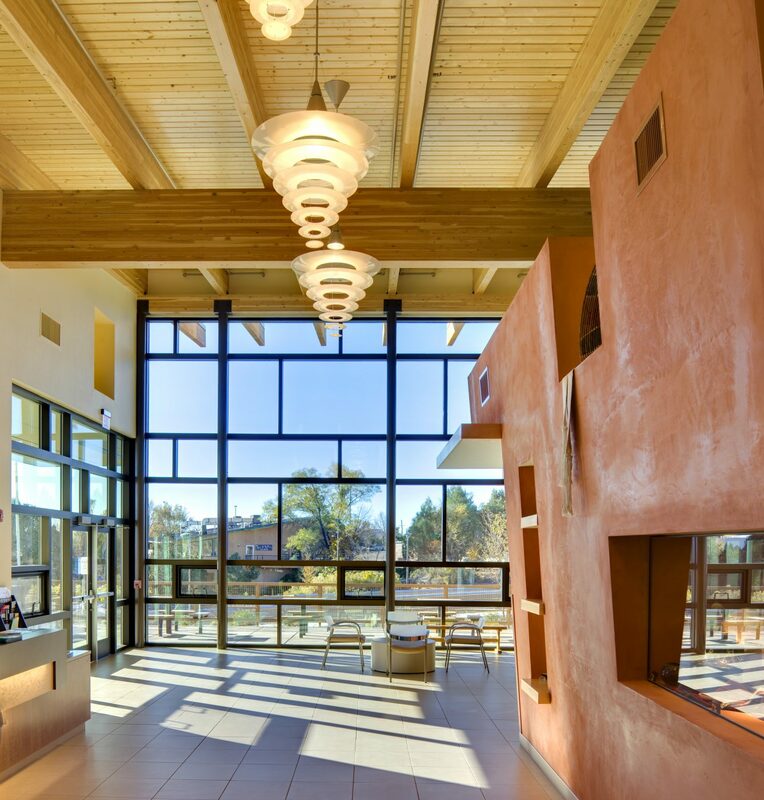 Visitors entering the building are welcomed by a sunlit open space with exposed wood beams. Informational exhibit booths are integrated into display niches. 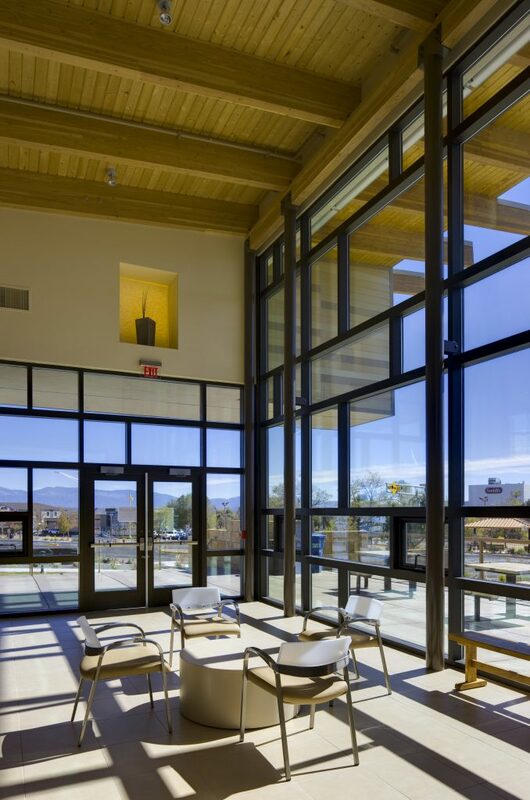 The journey ends on a large outdoor plaza with views of the stunning Sangre de Cristo Mountains. 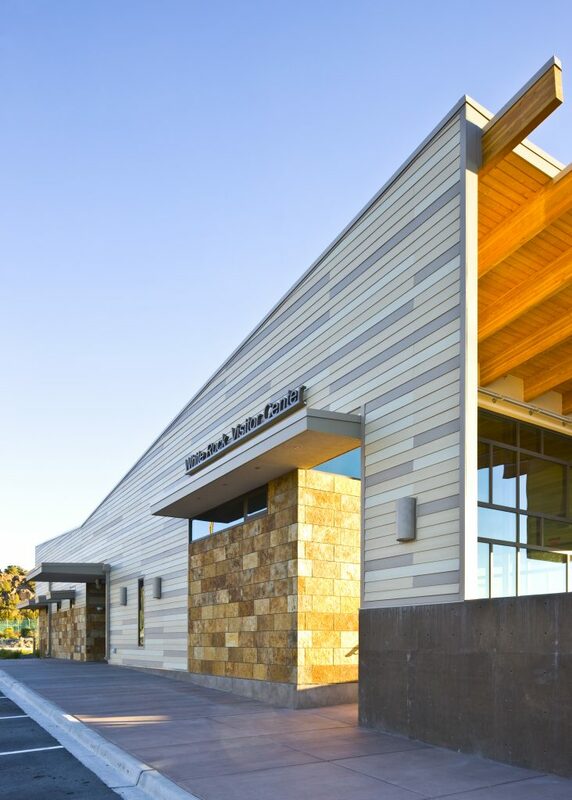 The 3,300-square-foot center includes many components designed to speak to the sustainable practices of its climate including shading of windows, rain water harvesting and xeric display gardens. 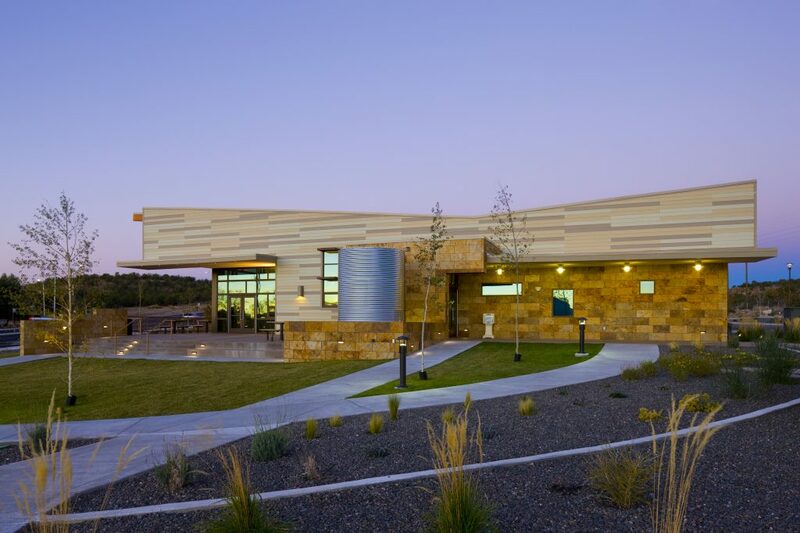 The Visitor Center opened in 2016 with great local fanfare. Those who use the transit center and RV park are well equipped to explore Bandelier National Monument, the Jemez Mountains and other attractions around White Rock and Los Alamos County.